25 Drones For Kids  - Kids Drones With Cameras, All Ages! Children of all ages are interested in flying toys just as much as us adults if not more, that’s why we’re reviewing the best drone for kids! Remember, we’re all children at heart! There are now plenty of drones for kids. In the past, I’ve bought various flying toys for friends and family. They’re long-lasting and they’ve always generated a smile. 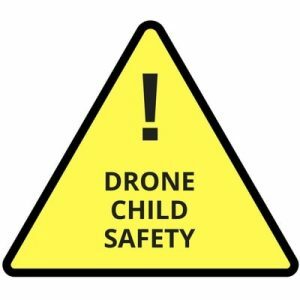 Of course, drone child safety is extremely important and based on our reviews as well as other people’s, we’ve come up with a list of drones we feel will appeal to young Dronethusiasts. None of the drones listed will break the bank and all come highly recommended, particularly the Altiar brand drones. We like to recommend Altair drones because it’s a company out of Nebraska (learn about Altair) and they really take care of their customers! 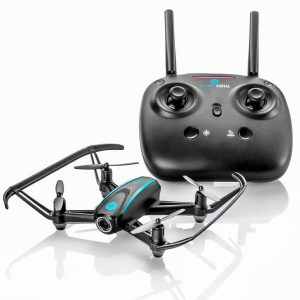 If you’re searching for a drone for someone under 10 check out the Altiar AA108 at $129, if you’re shopping for kids who are 14 years old or older we suggest the Altair 818 Hornet which has 15 minutes of flight time and is easy to handle, for $169. 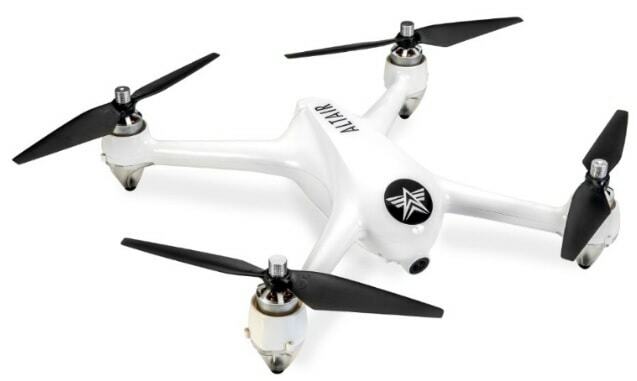 For those greater than 14 years old we recommend either the Tomahawk ($199) which has 17 minutes of flight time and has a changeable action camera, or the Outlaw GPS Drone ($279) by Altair which has 1000+ meter range and is super fast! 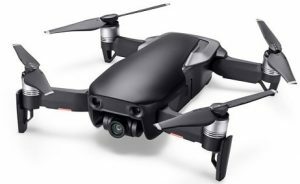 Finally we also talk about a pro drone the DJI Mavic Air, which is a little more costly at $700 but has some great specs! Drones for Small Children Ages 6, 7 & 8. Childrens Drones for Ages 8, 9, 10 and up. As promised, we scoured online to find the best drones for small children, and based our reviews on the amount of stars on Amazon, which had to be at least 4 or higher, user reviews, safety ratings, features, our own experiences, you name it. The next two drones are the best for all ages. After that, we’ll move on into particular age groups. 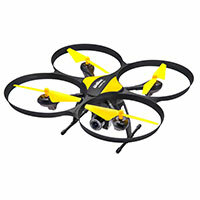 The Altair Aerial AA108, new drone for sale that out classes every kids drone! The Altair Brand is a great new company who brings great products to market out of Lincoln, Nebraska. They have 2 very durable and easy to fly drones for sale for kids, the AA108 ($129), which has 10 minutes of flight time, 100 meter range and top tier stability, as well as the 818 Plus drone ($169) which has 15 minutes of flight time, 110 meter range and is really easy to fly. Both of these drones are great for kids. Read our full review of the AA108 here. The Altair Aerial brand makes great drones for children of all ages. The reason for this is because they’re really easy to learn to pilot and very stable. A couple of things that help on these drones are the “Altitude Hold” and “Headless Mode” functions. Altitude hold helps by maintaining the altitude of the drone at a hover even if you remove your thumb from the control. Headless mode is a function that makes it easier to control the drone directionally. The Altair drones are quite a bit easier to fly than most of the other drones at similar prices today. 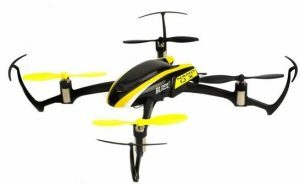 The AA108 is quite stable when flying and especially easy to control with its 3 flight modes, 1 for beginners, 2 intermediate and 3 for more advanced flyer. This allows children more leeway for error while learning the controls, simply set it to level 1 while they’re learning and switch to 2 or 3 as they advance. The U818 Plus (more details below) offers headless mode as well as a little bit longer range than Altairs AA108, additionally you have 15 minutes of flight time on a single battery (DOUBLE the flight time) and it comes with 2 of these batteries so that’s a great deal. The missing 3 flight skill levels means it’ll be just a bit harder to get used to flying, but we’ve found kids ages 9 and up have had no trouble learning to fly either of these drones. Finally, Altair Inc offers great customer service and they are based in the USA. We called their service line and sent them an email at help@altairaerial.com and they responded quickly. When we spoke to them on the phone they explained that it was very important that they provide a level of service to each online customer the same as if they were meeting with them in their office in Lincoln NE. Most drones around $100 are sold by Chinese companies, so it’s refreshing to speak to founders of a company set on providing this level of customer service. Get super fast shipping and amazing customer service by purchasing at Altairaerial.com (click here). Or you can shop for the 818 Hornet on Amazon. Read our full review of the 818 Hornet here. 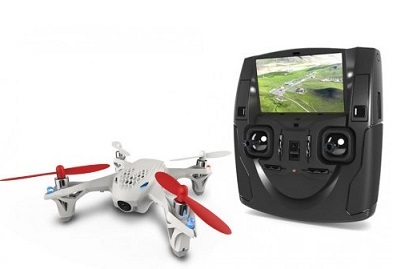 The 818 Plus is a drone that’s perfect for all age groups. It’s a little more expensive than the AA108, but the 818 has a larger frame that make it very stable and great hovering, which is perfect for young drone enthusiasts in windy areas or who want to get the hang of flying more slowly. It also has larger landing gear and thicker prop guards than its predecessor, the U818, which makes it a lot more durable even after multiple crashes. You can take your pick between the AA108 and the AA818, these are two really solid drones for children, the 108 is a bit cheaper and has less range and flight time, or you can upgrade to the 818 and get the 15 minute flight time! Shopping for a young one this holiday season? Check out our article on the best Christmas drones of 2019 to find the perfect toy. On a budget this year? 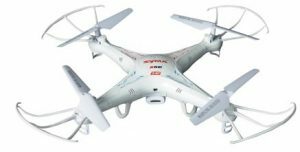 Find the best money saving cheap drones with Dronethusiast! 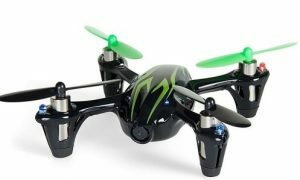 Shop on Amazon.com for the Outlaw, or get fast and free shipping from the Altair Aerial Website. Read our full Altair Outlaw review. Because of its relative lack of safety and durability features, as well as its focus on innovation, The Outlaw is not a great choice for children aged 8 years old to 14 years old. But it’s the perfect choice for any teen or pre-teen who can be trusted with a more expensive toy and who’s looking to get into the quadcopter hobby. 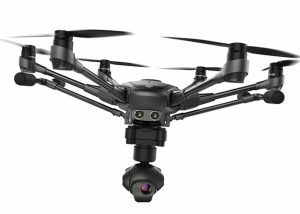 For less than $300 USD, the Outlaw brings you a 20 minute flight time (in ideal conditions), a massive 1000 meter range, and a 1080p High Definition camera that’s built right into the vehicle. But the best feature of the Outlaw is its innovative GPS functionality. With the touch of a single button, the drone will return itself back to where it came from. And in GPS flight mode, the drone practically flies itself! Once your teen flies it to a point in space, it will automatically keep itself hovering in the air, even under fairly serious winds. This makes it easy to line up the perfect photo or video shot and means that even an inexperienced pilot can have a great time flying the Outlaw. Drones don’t get much more affordable than the EACHINE E010 Mini, an easy-to-use beginner UAV that’s even capable of a few spins and flips! The EACHINE E010 Mini Quadcopter for kids is a great way to get kids under 10-years- old to get involved and learn to love drones. With very little effort required to learn how to use it, it’s great fun for kids of all ages. One look is all you need to see that the JJRC H20H quadcopter for kids is something very special. Unlike our last entry, the H20H’s six propellers give it an an excellent steady hover even outdoors, and one-button course reversal lets you pull back from potentially dangerous situations in the blink of an eye. With an awesome design complete with snazzy LED lights, this is the perfect toy for first-time fliers who are old enough to handle a more serious flier. While this isn’t necessarily an aerial kid friendly drone, it’s still a drone and a pretty awesome one at that. 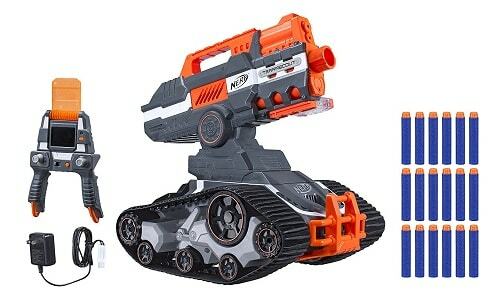 Nerf is one of the best manufacturers when it comes to toys that shoot things, and this drone is no exception. It can shoot targets up to 45 feet away and walks on all different types of terrain. The head rotates 360-degrees and moves in all directions with an adjustable blast angle. This is a great kid friendly drone for any age range, especially if your kid is a fan of combat toys. 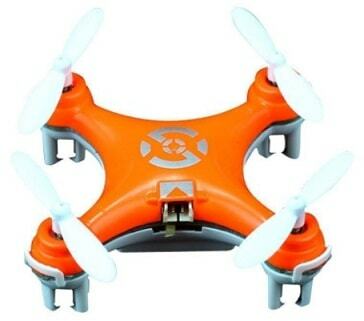 Compact drones are always pretty interesting to see, and this one is definitely a cool one. It’s got features that any kid can take advantage of, especially ones that are as young as 7-years- old and up. This is a fantastic choice for parents who want something that their kids can enjoy mainly inside, but be careful it doesn’t get too beat up. Now onto the small drones for kids that are best for children aged 8-years- old and up. Following the guidelines for certain age groups is the best way to get the most out of a kid friendly drone, so if your child is this age, or relatively around it, consider one of the drones here. In truth both of these drones are great for the age ranges of 8 to about 12 and 14. They’re great for beginners and intermediates skill experiences alike! If you’re looking for a drone that has a protective ring for whatever reason, maybe because your child has never flown a professional drone before but wants one, this one is definitely one to consider. It’s got the ring, a cool design, and everything you’ll want in a drone for children. 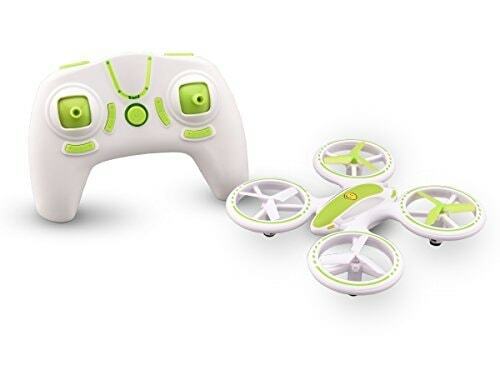 This is a great drone that teaches kids how they work, how to properly gain control over one, and lots more. Plus, you simply cannot go wrong with that protective ring. This is another example of superb RC helicopters for kids. The H36 is a cheap mini quadcopter that is child safe (as long as they don’t put their fingers in the propellers while they’re spinning) and which comes with all the features a beginner drone pilot could possibly want. A lot of RC helicopters can be difficult for kids to control, but this one knocks those drones completely out of the park. With a decent battery life and some interesting features paired with the look, it’s definitely one of our favorites. Now we move onto drones for kids of older ages, ranging from around 14-years- old and up. These drones are better suited for more advanced ages where kids can really grasp the concept of more thorough, complicated controls. Drones don’t always have to be serious or a solid color, they can also be fun, vibrant, and light up a kid’s life in more ways than one. This one has the looks, the features, and the specs to be something your kid will love. Just because it’s a high-tech drone, doesn’t mean it’s not for kids! Force1 is a drone manufacturer that knows what both kids and adults want, especially when it comes to this drone. It’s a great drone with camera for kids that can lay the necessary foundation for moving on in the future to more professional drones. Drones for youth don’t have to be low-tech, or even anything basic, they can be just as exceptional as the pros! For kids who are breaking into the more serious world of advanced drones, Hubsan is a great place to start. This drone is a step up from beginner and sits between the level of intermediate and expert. It has great features and options to offer for all. If your kid is more concerned with the flight aspects of their quadcopter for kids, and doesn’t really care about the camera part, then this is a great drone to get. It’s simple and easy to use. This crash proof foam stunt drone is a great choice for active kids ages 14+ who really want to see what kind of cool tricks their quadcopter is capable of. If your child is looking for a beginner drone but doesn’t want to get stuck with something that’s too basic, this is a great drone that they can really “grow into” as they get better at flying. This mini drone is super cool. It has all the gear and features that a future tech guru could ever want, and it’s very cheap for what you’re getting. Definitely a good choice for older kids looking to seriously get into the art of flying a drone. This is another great drone with camera for kids that focuses more on the flying experience rather than the quality of the camera, but you can still get some decent shots with it. If you’re looking for a drone that can perform some pretty cool tricks in the air, this one is it. 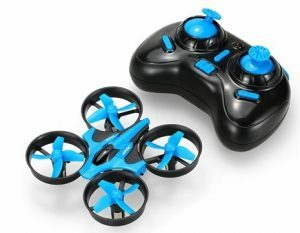 It can be used inside and outdoors and is more for kids that have more of an advanced grip to drone controls. For a kid who just wants to mess around and do some tricks with a drone, this is the perfect one to get. This one comes with a FREE crash kit that will allow you to make any repairs needed.The drone itself is pretty great, too, of course. 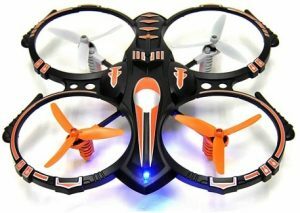 It’s packed with plenty of features, modes, and some great flying characteristics. 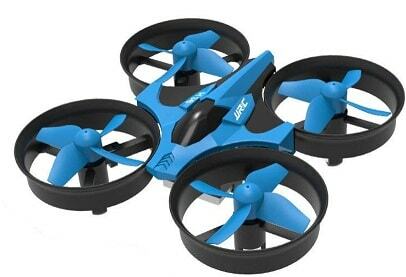 For a simple yet surprisingly advanced drone for the older kids, we highly recommend this one. Not all kids want to play with your run of the mill drone, some want one that has a camera that can deliver to mediocre or great shots. Whichever it may be, we have some seriously cool drones that have quality cameras on board available, so let’s get to it. 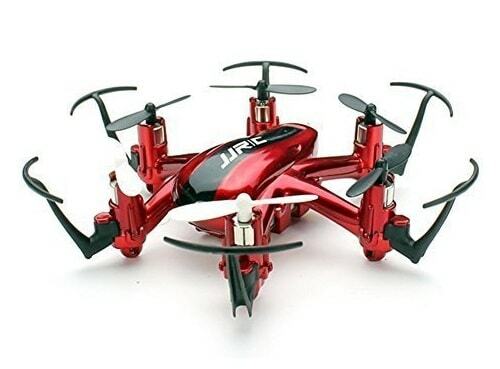 JJRC is a company known for making great beginner drones, and the H11WH is their newest and most advanced model. This drone is a great gateway into serious flying gateway into serious flying and it comes with some very impressive features for the price. As far as camera drones for kids go, this one is one of the best currently available. It has everything you’d want in a drone plus an HD camera to get some shots during flight. As a starter camera drone, this one definitely takes the cake is a great choice for kids who are at an intermediate flying level. 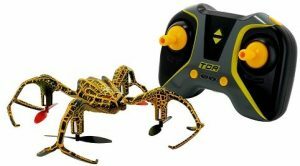 This drone is definitely for kids who have mastered controlling a drone, or those who are nearly there. This FPV camera drone is pretty advanced and has a much better camera, and a higher cost, than the drone previously mentioned. For a more advanced camera drone we highly recommend this one! Teenagers are using drones more often these days. 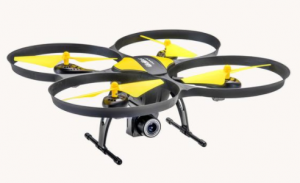 Whether it’s for a hobby or for a serious future interest in the business, we have checked out some of the coolest drones that are great for teenagers ages 16-years- old and up. This durable anti-collision drone controls like a dream and comes with a decent amount of flight time. If your teenager is a first-time drone buyer, this isn’t a bad place to start. If you’re worried about crashes, this is one of the most durable drones for kids available. It’s well worth the asking price! This is a much pricier quadcopter than the other entries on this list at a price of nearly $800 USD. 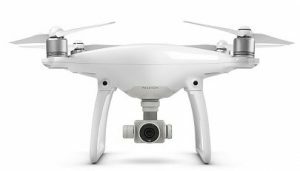 However, DJI is known for making some of the best drones out there and the Air is their newest and arguably most advanced portable offering. 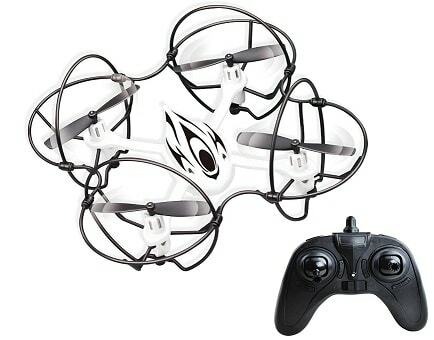 If your child wants to take their drone skills to the highest possible level, this is the drone to buy. We know not everyone can afford to buy a drone at this price, but trust us – you will get your money’s worth for sure. For a professional-quality drone that’s still easy to fly, you just can’t beat the Yuneec Typhoon H. With 8 autonomous flight modes, the drone pracitically flies itself, and the extra propellers of this hexacopter make the Typhoon H one of the most stable drones around. This is in addition to many other high-end features listed below. This is an especially good choice for teenagers who have an interest in photography or in filming videos. It’s rare to see a 4K camera on drones that cost less than $1,000 – never mind less than $500! DJI is another insanely popular drone company, and for a very good reason. They are constantly dishing out quality stuff, including what you are about to see. While it may be expensive, DJI produces nothing but the best, so it’s well worth the price. DJI makes fantastic drones for both beginner and expert drone users, and this one sits right in the middle. We highly recommend it! Deciding which drone is the best drone for kids and which is the safest is extremely important for many reasons. Obviously there are fast moving parts that could hurt little fingers, eyes, etc. There can be sharp edges to consider and small parts that could be choking hazards. It is your responsibility to make sure the drone is age and developmentally appropriate and to keep drones designed for older children out of reach of younger ones. It goes without saying that closely supervised children are safer children! As with all toys, only you the parent/caregiver will know what’s best for your child. Also, you are responsible for making sure drones are flown in appropriate places, so please be aware of current and new laws concerning the use of drones in your area. Whichever one you buy, make drone child safety and everyone else’s safety paramount. All drones listed are to be used at your own discretion, obviously the best drone for kids list is to help you see what’s out there and provide you some safety guidance. It is your responsibility to take all necessary precautions to ensure the safe use of whichever drone you purchase. The ages we have suggested for each of the drones are a guide only. These are just some of many drone toys available today. I’m sure we have missed some other great options, so if you have good experiences with other products, that you can recommend to others, please feel free to leave a comment below about our best drone for kids article! There are just too many to list! Remember if you get your kids interested in drones young, someday maybe they’ll end up starting a drone business with one of the Phantom drones from DJI and you’ll get to fly it too! There are a lot of frequently asked questions when it comes to the topic of owning and flying a drone, so we figured it’d be a good idea to highlight some of them for you in case you personally had any. Most drone users will already know these questions and the answers to them, but if you’re a parent who has little experience with drones and have questions, keep reading. Can I fly a drone through my neighborhood? This is a very common question that both kids drone users and neighbors of drone users ask, and for very good reason. 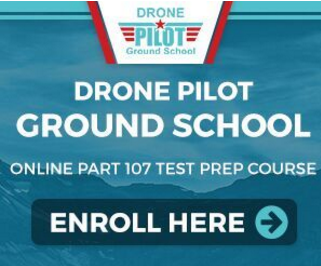 There really is no straight answer for this question, unless you are flying over restricted airspace which is more than illegal to do, which is by the Federal Aviation Administration has crafted requirements that all recreational drone users register their aircraft. Where private property is concerned, however, no one really knows. Landowners,which include homeowners, obviously, have a degree of say of the airspace over their homes. Shooting drones down has happened before once they go into someone’s airspace above their home, mostly for the fear of spying and taking pictures, but that is not technically legal either. Therefore, we recommend that drone users fly in open fields, their own backyards, and never through their neighborhood as it can cause some serious disputes between homeowners and their private space. Then where can I safely fly a drone? As previously mentioned, flying in random fields or your own private space is your best bet when flying a drone. However, specific guidelines from the FAA must be followed, one of which being that a residential drone cannot exceed the height of 400 feet in the air. You will also be expected to be at least 5 miles away from any airport while flying your drone. What if my drone gets away from me? If your drone should randomly fly away from you, which happens quite a bit believe it or not, the range of the controller is what will kick it back. Depending on the drone you have, it will go into return to land mode and go back to the last location recorded as your location in the internal GPS. Depending on the drone’s category there are multiple names and terms for each. Not all drones are called drones, but have different names and classifications, which are listed out for you below. • Drone: Underwater or unmanned aerial vehicle and closely associated with the larger UAVs that are used by intelligence systems and the military for the purpose of conducting surveillance, launching missiles, or dropping bombs. However, residential drones are used for hobby and recreational purposes. • UAV/UAS: Short for “unmanned aerial vehicle”, UAV, and “unmanned aircraft system” UAS, which are terms for aerial devices that do not have a pilot inside and are controlled internally through a battery and from the ground. • Quadcopter: A common sUAS with four rotors that are horizontally oriented to appear as a helicopter, able to hover and remain stable in the air, and can go up to eight rotors total. • sUAS: Short term for “unmanned aircraft system” that describes aircraft powered by batteries for the purpose of flying, and are usually large enough to be picked up by two people minimum. There are many different types of drones out there, but the ones listed above are generally used for recreational and hobby purposes, so we will only list those for the time being. Whether it’s remote control drones for kids, such as drones for 6-year- olds or remote control boats for kids, we’ve got you covered. Each drone has a different range and battery life, so not all will be the same. 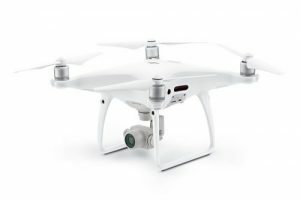 For example, the DJI Phantom 3 Advanced drone has a range of 3 miles, while the Quadcopter Condor has a battery life of up to 90 minutes long. You can decide which kids drone for you based on the range, battery life, etc. Some shopping around will definitely be needed, which we can help you with! There are many great drones for children available – and the “best” option will vary quite a bit depending on the age and interests of your child. If you’re looking for a drone with camera for kids, the 818 Hornet listed at the top of our guide is an excellent choice. 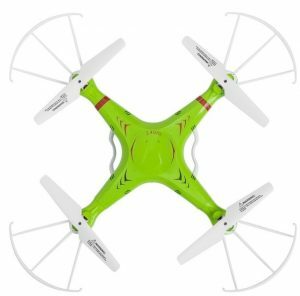 Listed above we have several drones for different age groups so you can find drones for 8 year olds, for 10 year olds, for 12 year olds, and for 14 year olds. What is the best drone for 5 year olds? Though we’re often asked about drones for 5 year olds, this is in our opinion much too young to be flying drones. Children at 5 years old lack the fine motor control necessary to fly a vehicle of this type and are not likely to appreciate the hundred dollar toy you buy for them. We suggest waiting until your child is at least 8 or 10 years old before introducing them to the hobby! There are many great drones for children available – and the “best” option will vary quite a bit depending on the age and interests of your child. If you’re looking for a drone with camera for kids, the 818 Hornet listed at the top of our guide is an excellent choice. Drones are appropriate for ages 8 and up, but you should be very hands on helping them fly if they are under 12 years old. Drones can be dangerous because the spinning propellers can cut skin easily, so it’s important to be careful. Additionally LiPO batteries used in drones need to be properly cared for. How do you know what makes a kid friendly drone? A kid friendly drone should be durable and easy to replace or repair. It should have a lot of features that make it easy to fly (as most children under 10 years old lack the fine motor control necessary to perform difficult flying feats). There also are also some fantastic rc cars for kids and mini rc cars for sale if you’re looking for something you can use on the ground. Are there camera drones for kids? Most drones (kid friendly or otherwise) come with cameras, but the quality of the camera will depend on the price you pay for the drone. You can get anything from a super basic cheap camera that will make blurry photographs up to 1080p HD cameras in DJI drones. A drone with camera for kids is generally recommended for children aged 10 years old-12 years old and older. What is a toy drone? 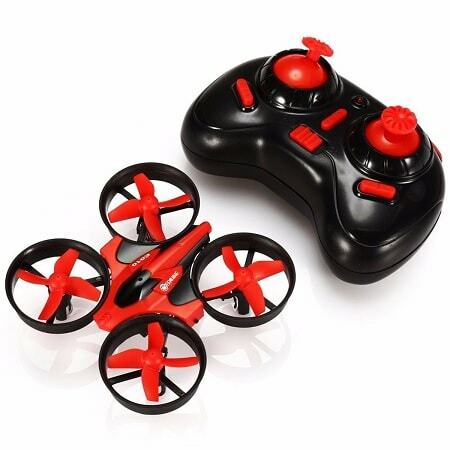 A toy drone for children is typically anything in the under 200$ range, these drones have range of up to 1000 meters at the high end, and typically fly for about 15 minutes or less before the battery needs recharged. What is a quadcopter for kids? A quadcopter is a drone with 4 propellers. It is the most common type of drone for children, although you might also see a hexacopter or hexa drone, which has 6 propellers. Dronethusiast reviews the Best Drones of 2019, check out all the newest models of drones for the new year!